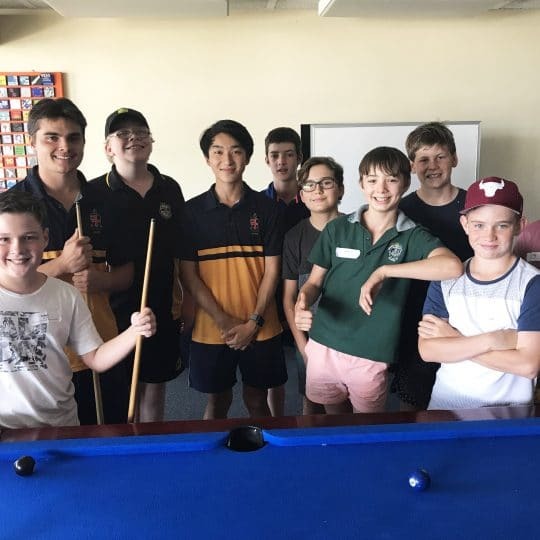 Eight years after graduating from Christ Church as one of the inaugural students of the School’s Indigenous Student Program, Liam Bedford (2005) now finds himself mentoring the boys he once was. Liam, along with first-year university student Jeff Fong (2011) and Garnduwa sports development officer Ernie Johnson (2011) are each taking their own pathways towards success. 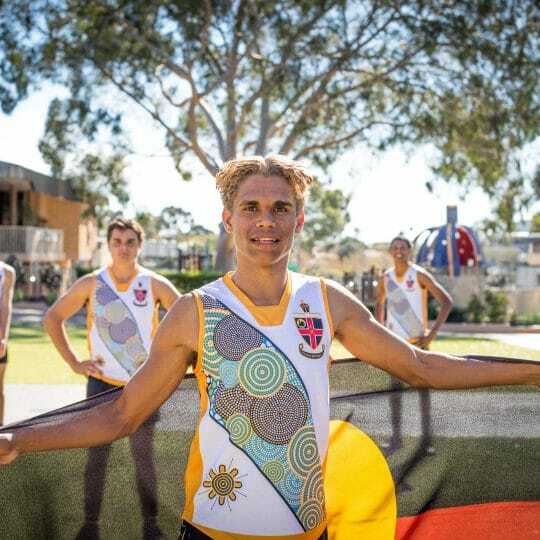 Liam, who came from Halls Creek to complete Year 12 at Christ Church, was uncertain about his future after school but knew he had a passion for football. After playing for Claremont in 2006, he was picked up in the AFL Rookie Draft by Geelong. He spent 2007 and 2008 with the club, playing in the NAB Cup and in the VFL, which included Geelong’s 2007 premiership win. Out of contract with Geelong, he was picked up in the rookie draft by West Coast but had a frustrating year due to injury. At this point, Liam decided to find a trade rather than going back to the WAFL. During 2010 and 2011, he began his journey towards becoming a diesel mechanic, completing his Certificate 2 in Mechanical Engineering onsite at Leighton Contractors’ Area C iron ore operations in the Pilbara for BHP Billiton (BHPB) and playing country football in his breaks. After a brief stint with BHPB in 2012, Liam is back with Leighton Contractors completing his Certificate 3 in Heavy Duty Diesel Mechanics among other things. 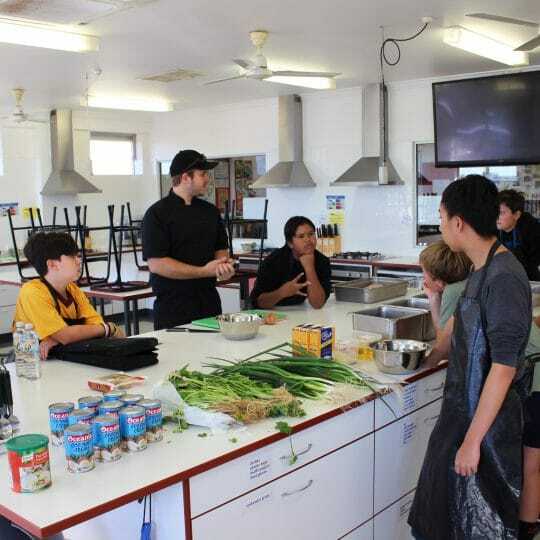 While studying to complete is apprenticeship he is also working as indigenous mentor trainee to first-year apprentices including graduates from the School’s Indigenous Student Program. He is also completing his Certificate 3 in Leadership as part of his mentoring role. “It is a busy, challenging role and I’m learning but we tackle problems as we go,” Liam said. He is still playing football too, currently for Coolbinia West Perth. Jeff Fong (2011) says he has had “lots on” since completing Year 12 at Christ Church. Jeff is half way through his first year of sports science at UWA after successfully completing an Aboriginal Orientation Course in 2012. He said completing the bridging course and living at Trinity College last year, gave him a great head start for university life. “It’s pretty quick paced but at least I’m already used to it and know how to find my way around,” Jeff said. Jeff was Vice Captain of the Walters Residential Community, a House Prefect and Vice Captain of the First XVIII in his final year of school. When he is not studying, Jeff is busy playing basketball, football, mixed netball or in the college gym. After experiencing the benefits of Garnduwa-run events while growing up in Kununurra, Ernie Johnson (2011) now finds himself engaging with Kimberley youth as a sports development officer. Ernie, who did a school-based apprenticeship with Leighton during Year 12, said he kept his options open after Christ Church. “Originally I had thought that I wanted to go back to Perth but once I was home I wanted to stay in Kununurra,” he said. 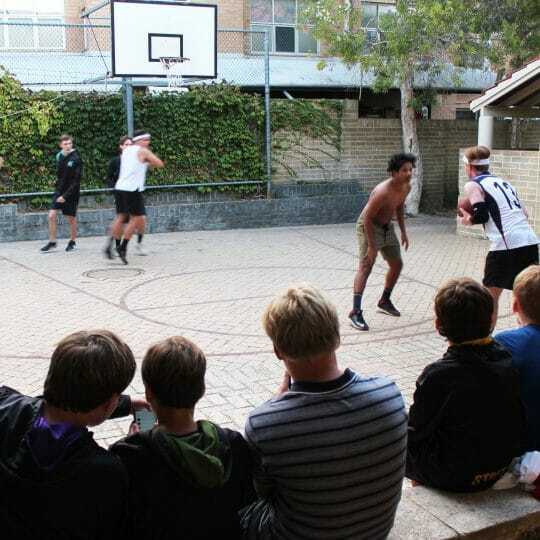 In 2011, he accepted a role with Garnduwa, the not-for-profit organisation that develops sport and recreation in remote Kimberley communities and has a connection to Christ Church’s Indigenous Student Program. Ernie’s role involves visiting remote communities in the East Kimberley to run programs, clinics and carnival, taking longer trips out to the desert to run the Auskick program and supporting organisations such as Save the Children and the Clontarff Foundation. Also through Garnduwa, he has continued his passion for football in a coaching role with the North West Academy comprising the best players from the Kimberley and Pilbara regions. Ernie, who himself is captain of the Kununurra Demons side, has been coaching and travelling with the side to Broome, Perth and Sydney.